This certified organic blend of 75% Grenache, 20% Syrah, and 5% Carignan is the creation of two brothers, Patrick and Vincent Soard. Their family expertise as vintners dates back to their great-grandfather, Casimir Soard, who made award winning wines as early as 1902. While their vineyards are dispersed across seven different communes, this particular wine originates from the Vin de Pays de Vaucluse. The is a bang for your buck great wine and is really cool blend. Some would say a curious choice. Nevertheless, it is silky on the front, and dry on the finish. Liquid rhubarb pie! Best served with an assortment of craft sausages and good friends. This blend of 61% Riesling and 39% Sauvignon Blanc was inspired by the wines of Fruili, Italy. By encompassing the spirit of both grapes, the combination takes this wine to a new level of creativity. Dr. Thomas Fogarty established his winery in 1981 when he dedicated 350 acres on the north end of the Santa Cruz Mountains. The winery continues today as a model practice and was the recipient of the “Wine and Spirit’s top 100 winery” recognition. This wine is aged in stainless steel. This wine begins with an intriguing nose. You are not quite sure what you are getting yourself into. It’s tropical, but will it be sweet? The Riesling and Sauvignon Blanc complement each other in the wine. Strong lemon flavor with a dry finish. This wine is fun and meant to be shared. Best served with a mild vinaigrette dressed salad and friends! 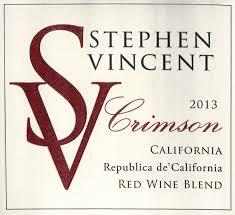 This blend of 72% Petite Sirah, 12% Syrah, 6% Zinfandel, 5% Cabernet Sauvignon, 3% Malbec, and 2% merlot is the creation of Robert Goyette of Stephen Vincent wines. Grapes originate from all over including Lake County, Sonoma County, Mendocino County, and Paso Robles. This wine is aged 29 months in 2 year old neutral oak barrels. What a fun way to make a wine! If you ever find yourself saying, “I really like blends,” this wine is for you. There are so many grapes and they are from all over. The winemaker must of had a lot of fun putting this together. You will taste plum, blueberry, tart cherry, and dark fruits. Best served with wood-fired Margherita pizza and friends! 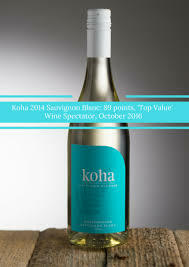 This 100% Sauvignon Blanc is the creation of Liam McElhinney, chief vintner of te Pā wines. The Wairau Valley is known for having the best soil in Marlborough due to the rich deposits of Rarangi alluvials from the Wairau river over 300 years ago. This wine undergoes temperature controlled fermentation in stainless steel tanks. This wine is an explosion of citrus flavors and is grassy on the nose. It is light, clean, crisp and very approachable. Close your eyes and pretend it is summer. Better yet, pretend you are in Marlborough, the finish on this wine will help you with that. Best served prior to your meal to cleanse your palate. Oh, and with friends! This 100% Nebbiolo originates from the Piedmont region of Italy. Specifically, the province of Novara. Due to an unusual growing season, this limited production wine was further reduced to under 600 cases. Only the strongest survived yielding low quantity with great quality. Maceration occurs over 21 days, undergoes malolactic fermentation, and matures in oak barrels for 24 months. Further aging occurs in the bottle for 24 additional months. This is a high end wine with exceptional quality and taste. Make sure to decant this wine for about an hour. Once this one opens up, it is something special. It is decently dry yet soft and silky. Think “IBC Black Cherry.” It’s fantastic! Best served with roast goose and friends! This 100% Sauvignon Blanc is certified Biodynamic and is grown in Silex soil. Silex is a flint and sand based soil type. It is formed from a mixture of clay, limestone, and silica. This wine is a unique as its soil. The grapes are harvested at the peak of ripeness, much later than other growers in the region. The result is a wine with higher sugar content for a Sauvignon Blanc. This wine undergoes malolactic fermentation. Wow! This wine is super cool! Sweetness on the nose, light, and might fool you as a dry Riesling. It’s dry finish brings you back to a tropical and citrus vacation from reality. Best served prior to your meal with friends. 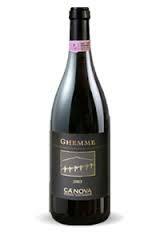 This 100% Granaccio, more well known as Grenache, originates from the Tenute di Trigoso on the steep hills in Sestri Levante. However, the story begins in 1978 with Pierluigi Lugano. His love for the Ligurian coastline was a large influence on his wine trading, grape growing, and eventual winemaking. Lugano vinifies his entire range of wines in stainless steel to protect each grape’s individual character. This Bisson is really good! Simple, yet deceptively spicy and not overly dry. Great dark fruit on this wine! Blackberry pie! Best served with BBQ and good friends!